A highly skilled work force to drive our economic engine is only possible when people have the care, education, and health they need. International Women’s Day earlier this month saw an outpouring of social media about the status of women in the world, which varies greatly across countries and continents. Here in the U.S., women occupy a strangely contradictory position. We are better educated than ever, nearly half the paid labor force, the majority of the population, and the larger share of voters. Nonetheless, we lack paid maternity leave, still do most of the unpaid family care, and at every age women’s poverty rate is higher than men’s. These solvable problems hurt women, disadvantage our families, and limit the national economy. Without change, they will not go away. How, then, to craft policies that serve our dual roles as employees and mothers, fathers, or other kinds of caregivers? What tools do we have to design solutions that further ourselves, our families, and economic prosperity? GDP has proved inadequate to the task. It only tracks the dollar value of goods and services in monetized transactions. GDP doesn’t tell us a thing about our access to the care, education, and well-being necessary to make the most of ourselves and maximize the potential of our children and future generations. It cannot reflect the ability and creativity of our people, and our opportunities to innovate and expand possibilities. Increasing GDP, as we have seen, does not lead to a fairer society. We urgently need to bring other factors into the economic equation. The economy is driven by people, as both consumers and producers. Leveraging our resources and abilities, we increase our capacity. Increasing human capacity is created in great part by care. Most care occurs outside of monetary transactions. It is not accounted for in our usual measures of productivity and wealth. Our failure to value it marginalizes those who do it. Yet without the care required for the development of human capacity, the creation of functional, capable people is simply impossible. Without care, the economic machine grinds to a halt. the absence of national labor standards like paid sick days and paid family leave. American families are working flat out and are stretched beyond the breaking point. Still 1 out of every 5 children in the U.S. relies upon food stamps. We are in the midst of an epic policy fail. Our public and private investments in care have everything to do with a civil society, a robustly growing economy, shared prosperity, and the realization of human potential. 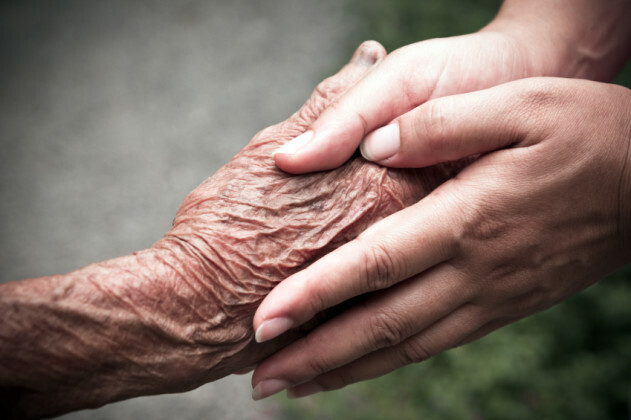 Accounting for the care of children, the elderly and ill makes visible the connection between unpaid transactions between people and their economic consequences. A highly skilled work force to drive our economic engine is only possible when people have the care, education, and health they need. Creating a social infrastructure that promotes human capacity requires a valuation system that can measure the components of care. A system of social wealth economic indicators can do this. Public investment in affordable, high quality childcare and early education is essential. It decreases the need for public assistance later in life, lowers incarceration rates, and increases educational achievement. Private investment in paid leave policies promotes gender equity, decreases business costs, and promotes profitability. Opening avenues for women to move into decision-making positions, like corporate boards and elected office, improves corporate performance and results in more effective policies. Promoting gender parity in both caregiving and income-generation produces positive economic results. Utilizing social wealth economic indicators allows us to connect the dots between what goes into creating human potential and what comes out in economic benefits. If we widen our focus from economic performance to the elements upon which it rests, we can see all the moving pieces. Identifying the building blocks allows us to more effectively synchronize the component parts. Capitalism’s most valuable asset is human capital. Accounting for care values caregivers, reveals the advantages of pro-care employment practices, promotes family economic security and encourages efficient public expenditures. Capitalism and care are not on opposite sides of a zero-sum game. They actually fit hand in hand. This originally appeared on Mom-Mentum. Republished here with permission.